Heavy snow falls in Edinburgh, UK. Edinburgh, Scotland, United Kingdom, 1 March, 2018. Heavy snowfalls continue across the city from the storm known as The Beast from the East. Most shops are closed and transport services have been cancelled. 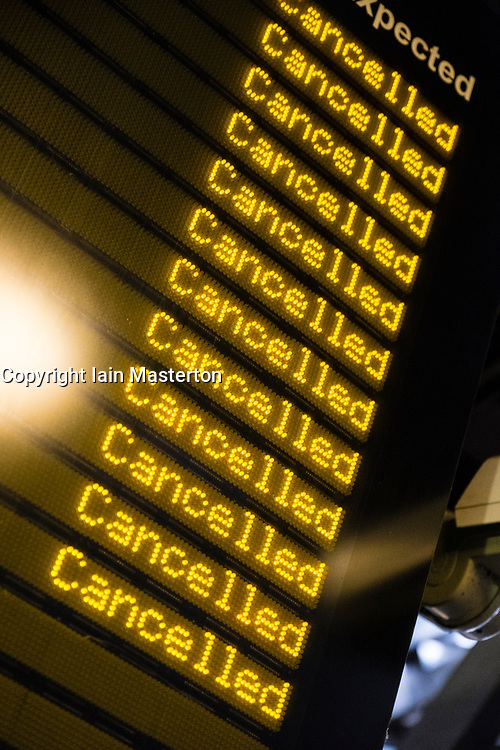 Pictured; Waverley Railway Station has seen most train services cancelled.